Drum and bass up-and-comer Sam Reed, aka Tokyo Prose, steps up the Fresh Blood decks this week. Originally kicking off as a duo in 2008, the Tokyo Prose ship is now steered solo by Sam Reed. 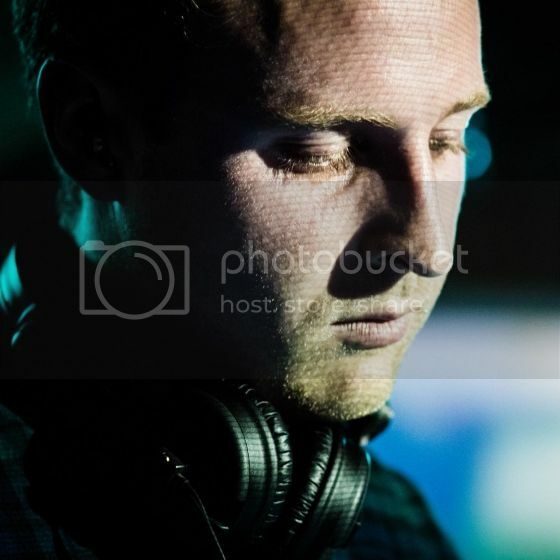 His productions have helped shaped the sound of the Samurai label and have found their way into the record bags of DJ Marky, Presha and London Elektricity to name but a few. The London-based New Zealander also released his debut LP this year, 'Presence'. For his Fresh Blood mix, Tokyo Prose mixes up "a bunch of tracks I'm really enjoying playing at gigs, a number of album things, a couple of brand new bits and a few older tracks". Enjoy! For people who don’t already know you, can you tell us a little about yourself? I'm Sam Reed and I write music as Tokyo Prose. I'm originally from Auckland, NZ but I'm currently living in London. I primarily write liquid drum and bass and I've just released my debut album 'Presence' on Samurai Music. How did you first get into electronic music? I've always listened to a lot of music and previously played the guitar and piano. I purchased some turntables a number of years ago and along with a bunch of mates started collecting and DJing drum and bass. Electronic music just came as a natural progression after being into rock and then hip hop. What are some of your musical influences? I listen to a lot of music. More or less every time I listen to music, it's something I haven't heard before so i'm always searching for new, interesting music. Things like Spotify have really changed how I consume music. I still buy a lot of vinyl but I discover a lot of it on Spotify. What would you say has been the most gratifying moment so far in your career? Recently releasing my debut album has easily been the most rewarding. After working for a long time on it, it is great to have it out there. I've also found all my recent gigs to have been really good and the Sun and Bass festival this year was a real highlight as always. Is the stuff you play now what you’ve always played or has your style evolved over time? Since getting into dnb I've always been into the deeper more musical stuff. My style hasn't had any major fluctuations but has the normal ebb and flows. What are some of your highlights from recent shows? As mentioned above Sun and Bass this year was amazing as always. My album launch in London was a really special night as well. Recently playing sets with DRS, SP:MC and Lowqui MC'ing for me has just been amazing. What are some of your dream gigs? In terms of gigs I prefer to play more intimate gigs. It's all still kinda new for me so I'm enjoying going to lots of new places for the first time. What record labels do you hope to work with in the future? Samurai Music is definitely the main home for my music at the moment. There are a couple of other labels within Dnb I would really love to work towards a release with, but Samurai Music will be my primary output. Who would you like to collaborate with? Within dnb I would love to do some more tracks with LSB. He has been writing music for a while but his output at the moment is just incredible. I was fortunate enough to have a number of collaborators like Lenzman, Synkro, LSB, Riya, DRS & Fox etc. feature on my album and pretty much all of these people I would consider "dream collaborators". I would welcome the chance to work with any of the collaborators on my album again. Outside of dnb I really love Robert Glasper's and Floating Points' stuff at the moment but they're less realistic collabs! Can you tell us a little about how you decided to approach the exclusive mix you made for Pulse? The mix is a bunch of tracks I'm really enjoying playing at gigs, a number of album things, a couple of brand new bits and a few older tracks. What else is on the horizon for Tokyo Prose? At the moment I'm really enjoying not being committed to any projects. I have a few ideas where I would like to take my music so for me at the moment it's up to me to put the time in the studio and see if I can get these ideas to work.